The Baird MidCap Fund is a growth-oriented fund and is managed with a strong emphasis on risk control and long-term perspective. The investment objective of the Fund is to provide long-term growth of capital. The primary investment goal is to provide consistent, superior-to-market returns at a risk posture less than that of the market. The team does this by finding companies for inclusion in the portfolio that have better growth prospects and capital structures than peers. The hallmark of this disciplined approach is to maintain a long-term perspective while investing in established companies with proven management. The Fund has been consistently managed by a dedicated team with extensive knowledge in the mid-cap space and an average of 20 years' investment experience. The Net expense ratio is the Gross expense ratio minus any reimbursement from the Advisor. Effective December 1, 2018, the Advisor has contractually agreed to waive its fees and/or reimburse expenses at least through April 30, 2020, to the extent necessary to ensure that the total operating expenses do not exceed 1.10% of the Investor Class's average daily net assets and 0.85% of the Institutional Class's average daily net assets. Investor class expense ratios include 0.25% 12b-1 fee. The Fund focuses on growth-style stocks and therefore the performance of the Fund will typically be more volatile than the performance of funds that focus on types of stocks that have a broader investment style. The Fund may invest up to 15% of its total assets in U.S. dollar-denominated foreign securities and ADRs. Foreign investments involve additional risks such as currency rate fluctuations, political and economic instability, and different and sometimes less strict financial reporting standards and regulation. The Fund invests a substantial portion of its assets in the stocks of mid-capitalization companies. Mid-capitalization companies often are more volatile and face greater risks than larger, more established companies. The net expense ratio is the gross expense ratio minus any reimbursement from the Advisor. The Advisor has contractually agreed to waive its fees and/or reimburse expenses at least through April 30, 2020, to the extent necessary to ensure that the total operating expenses do not exceed 1.10% of the Investor Class's average daily net assets and 0.85% of the Institutional Class's average daily net assets. Investor class expense ratios include a 0.25% 12b-1 fee. The Russell Midcap Growth Index measures the performance of those Russell Midcap companies with higher price-to-book ratios and higher forecasted growth values. The stocks are also members of the Russell 1000 Growth Index. Indices are unmanaged and are not available for direct investment. Chuck has over 31 years of investment experience and is currently a Senior Portfolio Manager on Baird Equity Asset Management's Mid Cap Growth product. 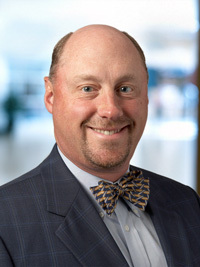 Chuck earned a master's degree in finance in 1987 and bachelor's degree in 1982 from the University of Wisconsin-Madison, where he was a member of the Applied Security Analysis Program. He earned the Chartered Financial Analyst designation in 1991. Ken has over 24 years of investment experience and currently serves as a Senior Portfolio Manager for Baird Equity Asset Management's Mid Cap Growth product covering financial services. 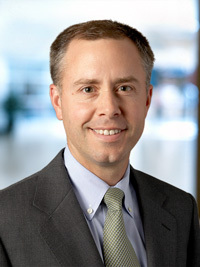 Prior to joining Baird Equity Asset Management, he spent seven years in Baird's sell-side Equity Research Department as a Senior Analyst leading the coverage of financial institutions. Ken has both a bachelor's degree and master's degree in finance from the University of Wisconsin-Madison, where he was a member of the Applied Security Analysis Program. He earned the Chartered Financial Analyst designation in 1995.